Nothing reveals the theatricality of Victorians more than their treatment of walls exposed to public view. Victorian bricks were relatively soft and porous. 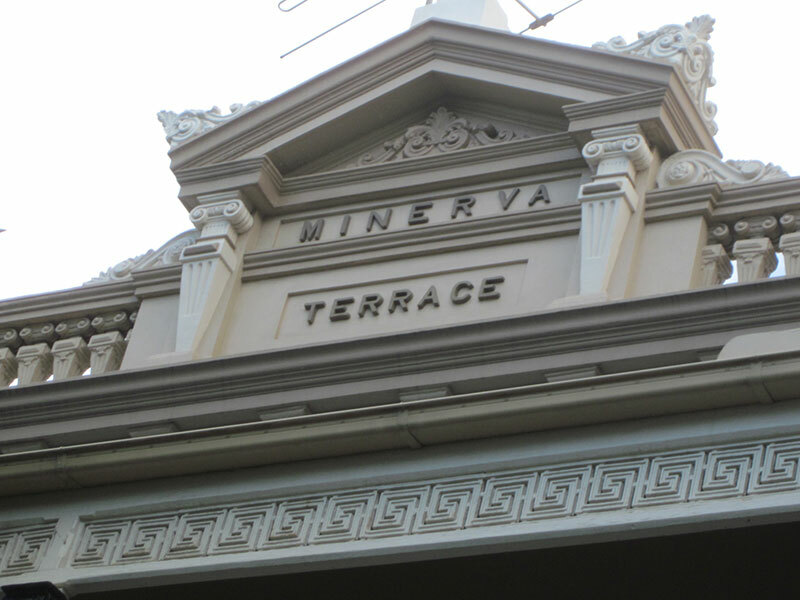 Victorians embraced the opportunity to render and paint them, making them more resistant to weather. However, this also meant the true nature of the building material could be concealed. 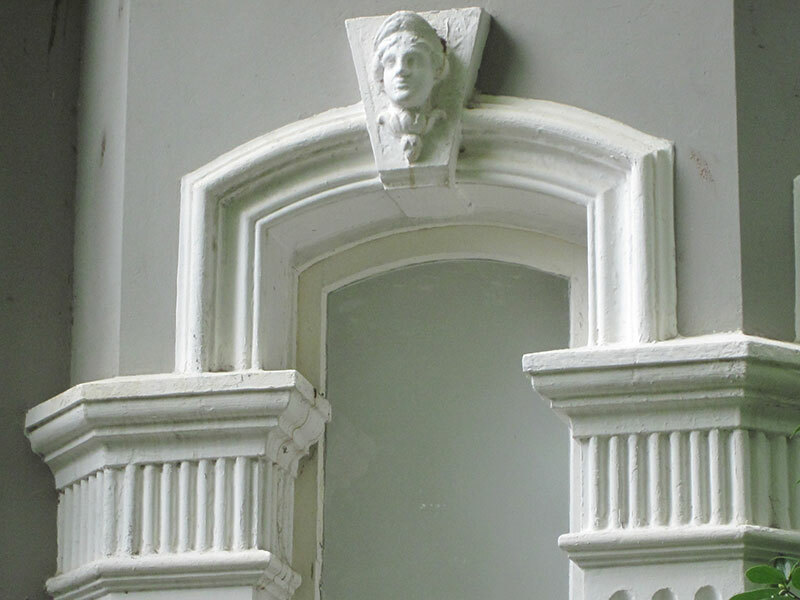 The Victorians set about pretending it was stone instead of brick, firstly by incising the pattern of large stone blocks in the render (ashlar), and next by using a variety of mass-produced plaster mouldings to imitate stone carving. Finally, they painted the render in variety of earth colours, usually at least three different ones, contrasting dark with light, in imitation of different types of stone. Joinery and lace generally picked up the darker colours. This was only the beginning. They had no hesitation in raising the apparent height of buildings using parapets, sometimes to the height of roof ridges, to make the facade more imposing. These parapets were not only divided into panels and decorated; they could also support further ornament, such as orbs, urns, balustrades and arches. Dividing walls, called party walls, had been made mandatory for buildings to prevent the spread of fire in the closely packed terraces. Making a virtue of necessity, builders made them sway in and out, gave them blind arches, and marked the various storeys with brackets and decorations to resemble stone. By 1895 improvements in technology produced harder and less porous bricks in a variety of colours and shapes. These facebricks were of course more expensive, and were used to cover and decorate facades with special light-coloured mortar between them, a technique known as tuck-pointing. Roughcast (render mixed with pebbles or coke) and shingles were sometimes also used for their contrasting texture.